This may be hard to believe, but the majority of breaches that occur are not because there are so many super smart hackers out there taking the time to decipher your company’s weak passwords or open ports in your network. 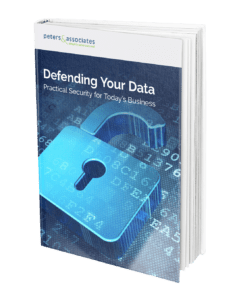 Breaches are likely caused by your end users – your employees. How can your organization combat the cyber war that is occurring on a regular basis in the world? New releases of software exist not only because they include additional features, but most likely because some exploits in the application have been filled. If you have mobile apps on your phone that are requesting an update, you should update them. In Parts 2 and 6 of our Ransomware series, we share more information on how to protect your environment from Cyber Criminals. Don’t miss out on our Ransomware Series Review webinar coming up on April 6th.